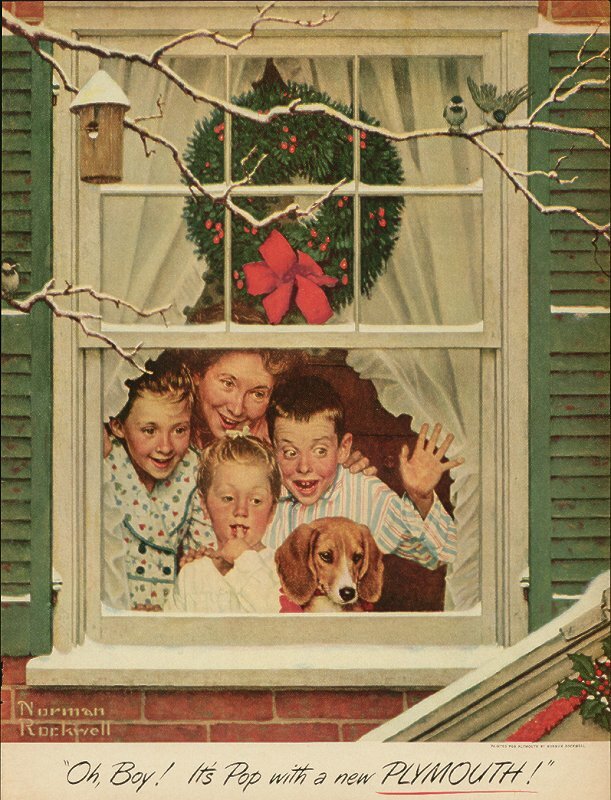 I want to live in a Norman Rockwell painting. I think it is something most women want. 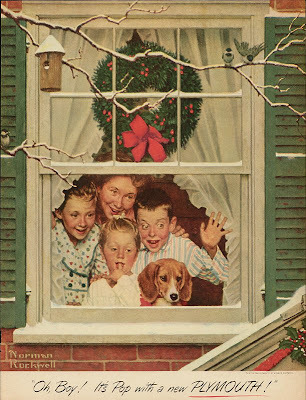 We want the clean house, loving husband, perfectly genius children and a hot pie sitting on the window sill. It is an impossible ideal we have set for ourselves and then get discouraged when it doesn't happen. Or perhaps it is just me. I woke up to a sic husband yesterday. I felt so bad for him. No one likes to be sick. But men seem to be even more pitiful than women when they are sick. At any rate, the bulk of the day was keeping Faye and Keith quiet and happy so their daddy could rest up. Once the kids had gone to bed we curled up on the bed and talked while he got pampered. And then I woke up around 1:30. I thought nothing of it. It was 1:30 am. No one feels their best at that hour. But when I fed Faye at 6:00 this morning, I knew it wasn't a fluke. I became just as pitiful as Jeffrey was the day before. My dreams of getting up early and making breakfast, getting some laundry done and living in the Saturday Evening Post were shattered. My bed would not relax the grip it had on my tired bones. And that is where I spent the majority, if not all of my day today. I am just hoping my kids don't get this awful bug. And hopefully I can live the dream tomorrow. But I'm so sorry you and your husband are sick...definitely not fun! Tomorrow the dream will be there for you. My dream is to one day write as wonderfully as you. Some people say I'm a good writer but I'm pretty sure it is because they haven't read your blog yet to know what a good writer is like. So sorry you and your husband have been sick. I think moms should be immune to all sicknesses. Hope you wake up with a bounce in your step! i actually think I'm more pitiful than the husband when sick. i'm a hot mess. So sorry you're under the weather :( it's no fun when mom gets sick, life just seems to go on at it's same rapid pace anyway - so it's hard to get any rest. Hope you're feeling better and the rest stay happy and healthy too! It's so hard getting sick at the same time when you have little ones. I still remember one Thanksgiving when Dave and I both had the flu. We cooked the turkey, but all we did was put it on the coffee table...without any fixings at all. And we fought over who had to get it out of the oven! We also fought over who had to change the baby's diapers. Nightmare happens to everyone, the good thing is that you let it out, aloud, and in an artistic and delightful way! I love your posts, they are full of wisdom and careful designs.